How well do you really know your skin? Do you understand the basic traits and needs of your skin? 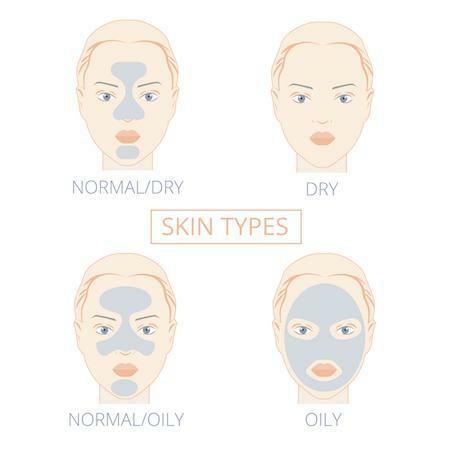 You most likely fall within one of these 5 common skin types: Normal, Oily, Dry, Sensitive, or Combination. Fortunately, many of today’s skin care products are developed for and categorized by skin type (you can look on the product’s packaging label for ideal use). As you probably already know, using products that are not made for your skin type is not a great idea. The products won’t just be ineffective - they might even damage your skin. Here’s a little insight on different skin types along with some basic examples of ideal products for that skin type. Normal skin is usually soft, smooth, and has an even tone. This skin usually has a natural glow, good circulation (poor circulation can cause skin discoloration, acne, and inflammation), and does not have any traces of excess sebum (natural oil found within the skin). Additionally, the pore size for normal skin is small to medium and retains a normal level of moisture. Most individuals with normal skin have a very basic skincare regimen which typically includes a gentle-but-effective cleanser, a daily moisturizer with SPF, and a specialized serum to help maintain and protect the barrier of your skin. When it comes to oily skin it’s usually pretty easy to identify, as the skin will appear shiny and there is typically some sort of acne / congestion in the forehead, cheeks, or chin. This stems from an overproduction of sebum which is secreted from the skin’s sebaceous glands. People with oily skin tend to have large and notable pores which can trap excess dirt and oils, which explains why they are so much more prone to acne compared to other skin types. It is very essential for people with oily skin to cleanse their skin twice a day and use a moisturizer that will not overly dry them out, as being too dry will also create more oil. Toners, exfoliators, spot treatments, and oil blotting papers are essential products to incorporate into your daily regimen if this is your skin type and you are looking to control your oil production. Dry skin does not retain moisture or oils easily, often leading to the appearance of flakey or “fuzzy” looking skin. Having skin that lacks oil can also make fine lines and wrinkles appear deeper, and more exaggerated. A common thing that people with dry skin will say is that their skin feels tight and they often experience discoloration issues (a sign of poor circulation). If you are someone with dry skin, you can definitely benefit from using a thick, occlusive moisturizer that will lock the moisture into your skin's barrier and reduce TEWL (TransEpidermal Water Loss). Make sure avoiding products containing “harsh” ingredients such as Alpha Hydroxy Acid (AHA) or Benzoyl Peroxide. People with sensitive skin tend to experience issues related to inflammation, redness, or rashes. When you have sensitive skin, you may become irritated or “rosy” from things as simple as weather changes, spicy foods, and even heavy laughter. You may also burn easily from sun exposure, rather than catching that nice golden tan. This skin type is also more prone to conditions like rosacea or psoriasis as compared to the other skin types. If you have sensitive skin, you need to be very careful about which products you use, since most cleansers and moisturizers contain ingredients that can cause adverse reactions. Make sure you are only using products designated for sensitive skin. It is also a good idea to do a patch test of new products before adding them to your skin routine. Avoid products with fragrance and harsh dyes. Combination skin can be tricky since they can exhibit the traits of each different skin type. For example, their cheeks can show traits of dry skin while their forehead is oily. This often happens when one area of the skin overproduces natural oils while the other other areas are lacking. If you have this skin type, you may need to treat each area differently. Go back through this article to figure out what skin type each area is, and which products would be appropriate for each area. For example, using a clay mask on the forehead and nose to control oil while using a gel-based mask on your cheeks and chin to help increase hydration and suppleness would be a great way to treat this specific type of combination skin.